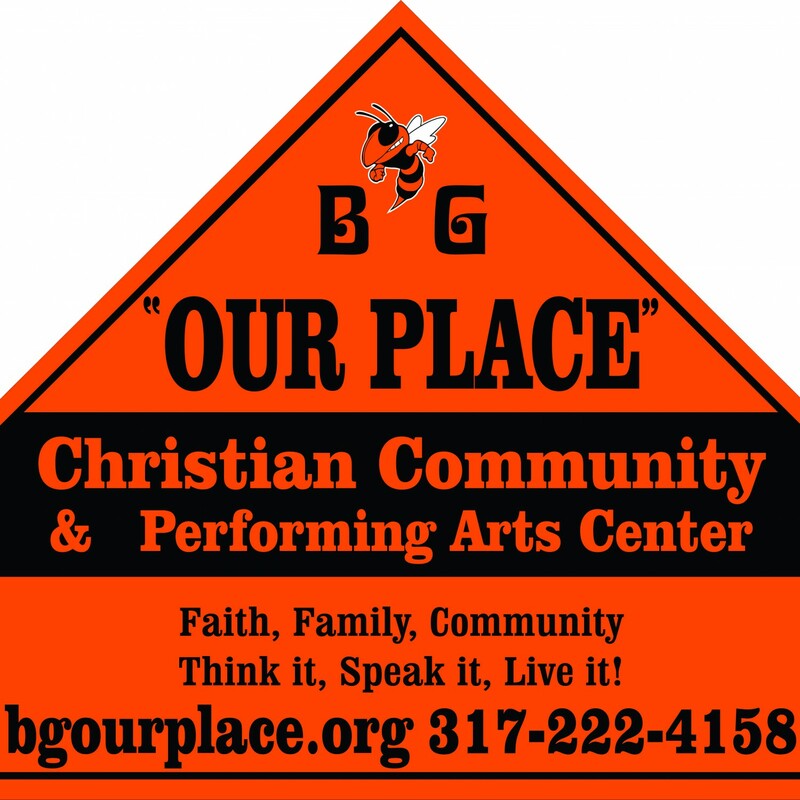 Beech Grove "Our Place" | Faith, Family, Community – Think it, Speak it, Live it! Planning your wedding? Looking for a church venue but not involved in a church home? We have your answer. Originally built in 1927 as a M.E. Church. Major renovation and re-orientation in 1958. 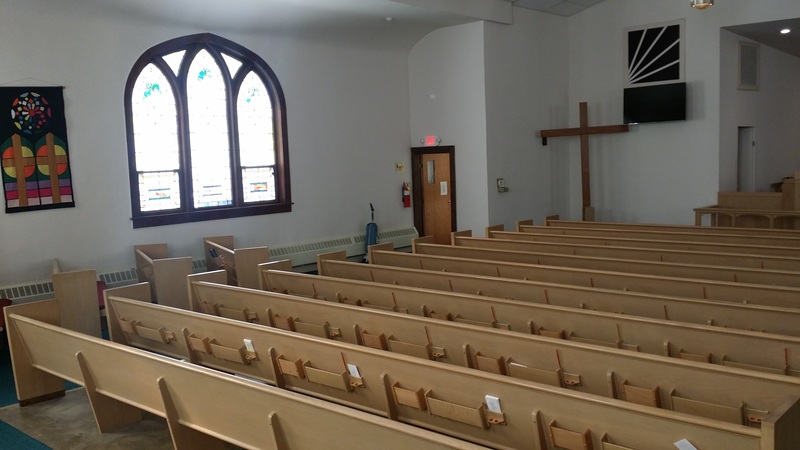 Renovated in 2015 to service weddings and more (when worship is not in session) and provide ADA access. 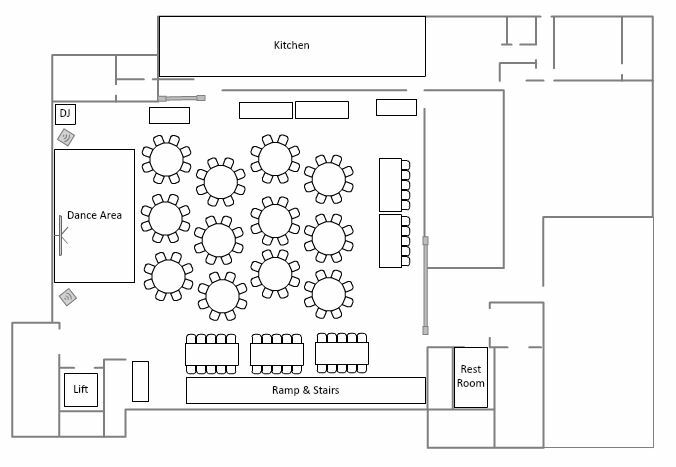 Your formal ceremony will be in the Auditorium / Sanctuary with seating for 220+ guests. The original stained glass windows add to the ambiance and reverence of your union. Bridal party and groomsmen preparation (dressing) areas are separated so the bride and groom don’t “run into each other” before the ceremony. Plenty of room at the back for your reception line before proceeding downstairs (or lift) to dinning room with full kitchen. 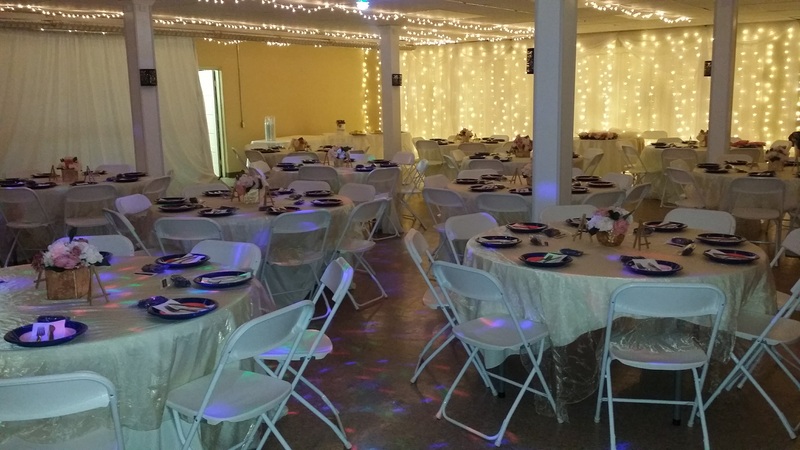 Reception area can accommodate a band or DJ and dance floor. All wedding services can be supplied by outside sources of your choice or choose from our partner vendors. 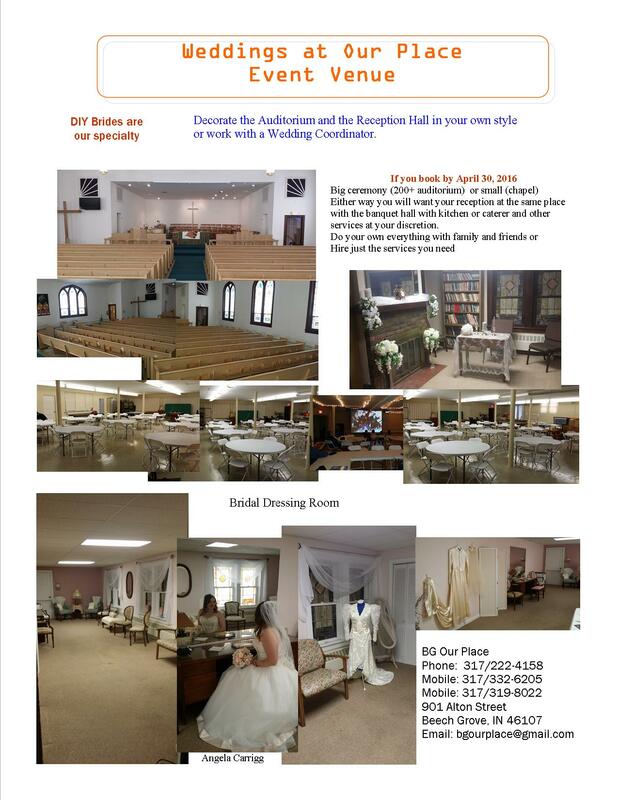 These include: Officiant, Wedding Planner, Caterer, Videographer, Photographer, Musician(s), etc.